Though many are traveling and enjoying a change of pace during summer months, it remains a busy time in the church. As a result, it is time for another exciting edition of Random Thoughts from a Scattered Mind. I hope you will join us Sunday for worship and the luncheon afterwards as we honor Ken and Christine Smith as Ken retires. The choir is preparing some gorgeous music, and it should be a true blessing. Ken and Christine have given much time and energy to Hope Valley for more than eight years, and Ken has done well in preparing the choir, ensembles, and soloists to lead us in worship. I have also appreciated his leadership in preparing Christmas cantatas and music for other special seasons and services. We will miss Ken and Chris-tine and wish them God’s blessings, guidance, and joy. Like you, I continue to grieve over the tragic deaths of the 9 members of Emanuel AME Church. I really can’t understand how anyone could choose to act with such hatred and racism, causing such pain to others. At the same time, our grief over such blatant examples of racism and violence must drive us to prayer and a re-newed commitment to faithfulness. As I said on Sunday, we should devote ourselves to praying for those who grieve, praying for God’s Kingdom to come and His will to be done in our world, and praying that God will cleanse us of the anger, racism, and prejudice we carry in our own hearts and souls. While the shooter has demonstrated an extreme example of racism, we all must acknowledge the judgmental attitudes within us and pray for God’s cleansing and healing so that we might live out God’s love in our relationships. In addition, we as God’s people must invest ourselves in modeling and seeking reconciliation, in building bridges of grace, and in making God’s love visible as we reach out to and treat all people as God’s beloved children. Please remember that the Hispanic Mission Church will begin meeting with us on Sunday, July 5. I am very excited about this partnership and the opportunity it will provide us to make new friends, build the Body of Christ, and demonstrate that God’s love crosses cultures and language barriers. Let us pray that God will bless this partnership and work through both churches to accomplish His will and build His Kingdom. This is a wonderful opportunity to work with those from different backgrounds and to demonstrate true hospitality. Summer is always a very busy time in the life of Hope Valley Baptist Church. 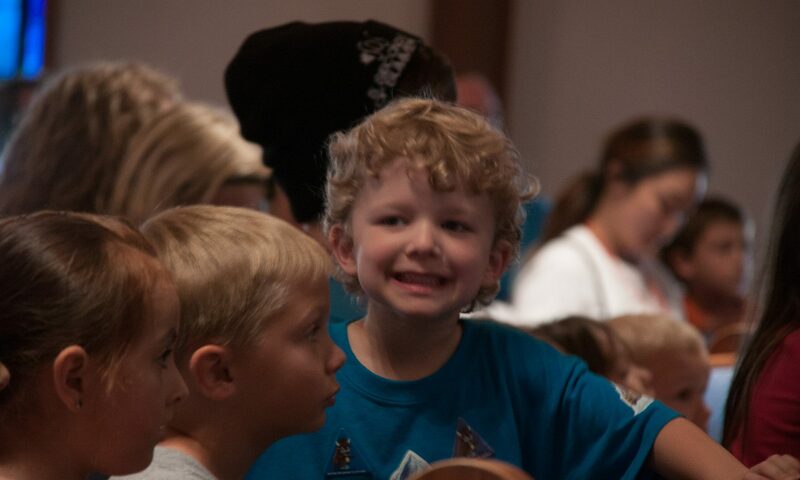 Vacation Bible School is approaching rapidly, and it promises to be another amazing week of helping children learn about the Good News of God’s love. I am grateful to all who have already signed up to assist with VBS and those who have made the commitment to be part of the Prayer Team that will surround and under-gird this important ministry with prayer. If you have not yet signed up to work in VBS or to be part of our Prayer Team, please do so on the church website. You may also contact Amy Herring or call Robin Wimberley in the church office to let us know how you can assist. I am also tremendously grateful for your vote to support the partnership with the Hispanic Mission led by Pastor Julio DeLeon. The mission church will use Spanish version of our name, Valle de Es-peranza Iglesia Bautista, and will begin meeting for worship in the Fellowship Hall on Sunday, July 5. You will find a note of gratitude from Pastor Julio here, and their members are eager to begin this new phase of their ministry and development. I am convinced this partnership can and will enrich both congregations. I know you will demonstrate great hospitality to these brothers and sisters as they make this transition and partner with us. It is also exciting to consider ways the two churches might work together in ministry, missions, and worship. Please join me in praying faithfully for this mission church, for our ministry together, and for God to inspire and empower us as we work together to spread His love and make disciples of the people in our community and beyond.